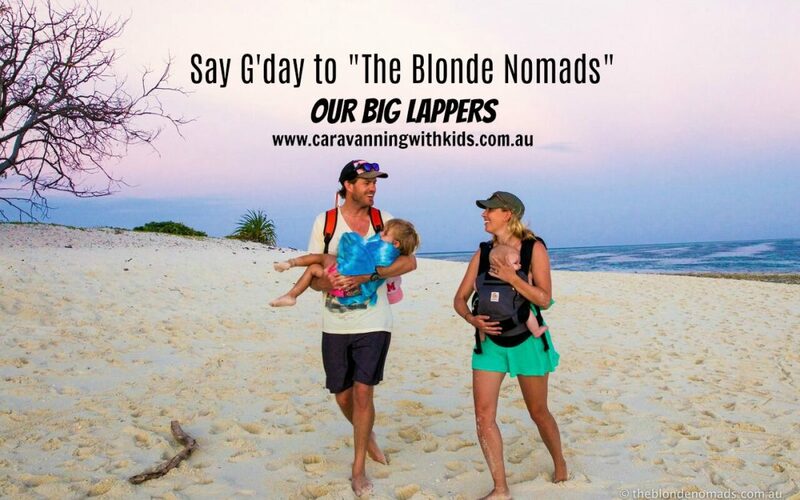 Say a big hello to The Blonde Nomads – Rob, Tracy, Marli & Ziggy – they are only weeks away from hitting the road again…but this time with their two young children!! 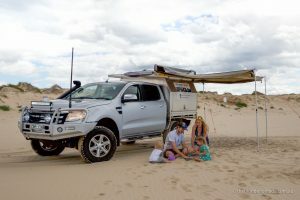 Embarking on an adventure that will take them all over Australia in a new Jayco. We met them yonkers ago as we drooled over their instagram account, keen photographers, the inspiration on their wall was breathtaking!! We are so excited for them and can’t wait to follow along!! We are Rob and Tracy and with our daughter Marli, 4, and son Ziggy, 2, we are known as The Blonde Nomads, an adventurous travelling family. We share our adventures via our social channels on Instagram, Facebook and Twitter, as well as our website blog www.theblondenomads.com.au. Just four months ago we decided to pack up our house, simplify our lives, escape the hustle and bustle of modern suburban life and hit the road to travel Australia in a Caravan! Rewind back to 2007, we embarked on an epic adventure around Australia, just the 2 of us – young and carefree in a tiny campervan! It was an amazing trip. 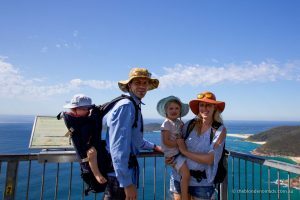 Our family dubbed us ‘The Blonde Nomads’ as we shared our adventures via a simple blog that we emailed out to our friends and family. There was no Instagram and Facebook had just begun and our mobiles were big Nokia ‘brick’ phones that we barely turned on. Fast forward 10 years and we are now married with two mini blondies and still feeling a pull to hit the road, travel and break away from the ‘normal’ 9 to 5 grind that suburban life brings. The last four months have been pretty hectic. The original plan was for us to rent our house (on Sydney’s Northern Beaches) while we travelled, but at the VERY last minute we made the huge decision to sell! So, we are embracing all things ‘nomadic’ as we are now homeless, and own just a fraction of the ‘things’ we had 4 months ago. It’s a great feeling to strip back our possessions, simplify and take on the concept of collecting memories and not ‘things’. A lot of our house items have been sold or given to charity and we have stored a few sentimental items and Robs carpentry tools in a storage unit. Marli and Ziggy have been amazing through this whole process even when their furniture and toys were disappearing around them as we emptied our home. They understand all about our big adVANture and are so excited to hit the road. Our blondies are very well travelled and have been to some amazing places in their short lives and are at their happiest when outside, exploring and playing in nature. We can’t wait to enjoy this time with them, being sandy, salty, sun kissed and free! We started sharing our family adventures as ‘The Blonde Nomads’ when Marli was born 4 years ago via Instagram, Facebook and our website blog. We quickly gained a generous following and created an online community and from this came the opportunities to work with brands, businesses and destinations as content creators. We have been lucky to travel to some amazing destinations sharing our adventures and travel tips. It’s a lot of hard work, especially with little ones by our side, but we love travel and inspiring others to do the same so it’s with this foundation that we decided to do this trip and take a leap of faith to be full time ‘Blonde Nomads’ to help fund our travels. 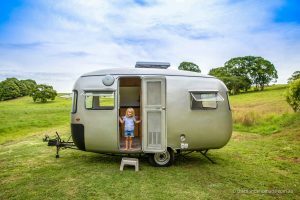 We are excited to be ambassadors for Jayco on this amazing adventure, who are providing us with our awesome ‘home on wheels’ (a custom built 22ft Starcraft Caravan). We also have some great sponsors onboard like BCF, Kathmandu and more exciting projects in the pipeline. With our love for the outdoors, especially the ocean, we are also excited to be partners with Take 3 (#take3forthesea) for our lap of Oz. Take 3 is a non for profit organisation who are on a mission to reduce plastic pollution in Australia and around the globe. We plan to help spread their simple message – Whenever you’re at a beach, waterway or anywhere in the great outdoors, simply take 3 pieces of rubbish away with you and you’ve made a difference. We think this is such a simple message and as a family something we can all take part in as we travel around and explore this amazing country! (Click here for more information on Take 3). We can’t wait to share our amazing adventures with you. Please say hi if you see us on the road and get in touch if you have any questions about travelling with kids or want to share some must see spots for us to visit. 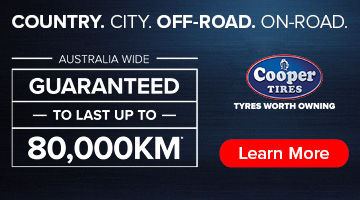 Have you seen our Australian made Products? 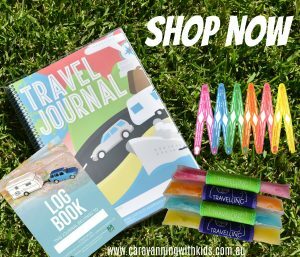 – Travel Journals, Caravan/Camper Log Books, Pegless Clotheslines and so much more… pop over to our shop here! Thanks Guys! We can’t wait to share our adventures with you and be apart of your awesome community of travelling families!